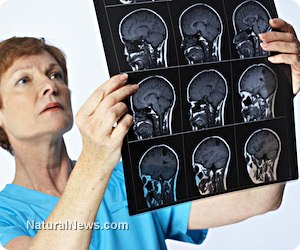 (NaturalNews) In the US alone, 795,000 people suffer a stroke each year, with over 140,000 dying in the process, making it the third-leading killer after heart disease and cancer. Stroke is also the top cause of serious long-term disability in the country. For those who do survive, what dietary measures can be taken to aid recovery and prevent further attacks? Although stroke is often thought of as an unpreventable condition which afflicts the elderly, the truth is that there are numerous controllable lifestyle factors which are linked to stroke. These include a poor diet high in trans-fats, refined sugars, table salt (high in sodium) and processed foods; smoking; lack of physical activity; and the use of oral contraceptives, particularly in women over 35. People who have heart disease, high blood pressure, diabetes and irregular heartbeat are at increased risk, as are those who are obese, have blood that clots too easily, or have suffered a recent heart attack. Symptoms such as dizziness, a sudden bad headache, blurred vision, impaired speech, loss of balance, weakness or numbness on one side of the body or face, and loss of consciousness are indicative of a stroke, and immediate medical attention should be sought. Survival and recovery rates are significantly higher with early treatment. Prevention is always better than a cure, but if a stroke has already struck and the patient has thankfully survived, the focus then shifts to treatment and recovery. Certain dietary and supplemental measures can aid in recovery, although these should ideally be used under the guidance of qualified health practitioners, possibly in an integrative manner inclusive of medical and alternative perspectives. These same measures also help with preventing further strokes. The diet should always form the foundation of any natural healing plan. Consume a diet consisting of whole, natural and preferably organic foods. These include fresh fruits and vegetables, whole grains, legumes, beans, nuts, seeds and fish. Such a diet would be rich in protective antioxidants, essential fatty acids and fiber. Potassium helps lower blood pressure and stroke risk and can be found abundantly in green leafy vegetables, tomatoes and potatoes. A meta-review of studies published in the Journal of the American Medical Association which looked at almost 115,000 study subjects found that green leafy vegetables, cruciferous vegetables and citrus fruit and juice were the most effective fruits and vegetables for lowering stroke risk, so consume plenty of those. Since foods high in trans-fats (many packaged and baked foods), refined sugars and table salt are risk factors, as are processed foods in general, they should be avoided. Processed foods and table salt are high in sodium, which can elevate blood pressure in many people. Emily Kane, a naturopathic physician in Alaska, recommended the following supplement intake every day to help "open and repair arteries and strengthen the heart," thereby lowering the risk of a second stroke: 400-600 IU of vitamin E, 1 tablespoon of flaxseed oil (high in omega-3 fatty acids), 30-100 mg of coenzyme-Q10 and 3,000 mg vitamin C.
Fish oil is another possible source of omega-3s, which help reduce arterial inflammation. 300-500 mg of aged garlic twice per day can help improve one's cholesterol profile. Ginkgo biloba is another useful herb -- it improves blood flow to the brain. Mark Stengler, a San Diego ND, recommended 180-240 mg of a standardized 24% extract of the herb daily. Green tea or green tea extract is rich in antioxidants and could also be helpful. Balch, James F., MD, and Stengler, Mark, ND. Prescription for Natural Cures: A Self-Care Guide for Treating Health Problems with Natural Remedies Including Diet and Nutrition, Nutritional Supplements, Bodywork, and More. Hoboken, New Jersey: John Wiley & Sons, Inc, 2004. Print. Reuben Chow has a keen interest in natural health and healing as well as personal growth. Subscribe to his natural health newsletter or follow his health websites on Facebook. His main health websites Insights on Health and All 4 Natural Health focus on being healthy naturally, while his other health websites cover topics such as cancer, depression, holistic depression help, as well as omega 3 fatty acids. He also owns self improvement and inspirational websites like Inspiration 4 Living, allinspiration.com, Life Changing Quotes, and 101 Inspirational Ideas. Through his network of sites at The Journey of Life, he hopes to help improve people's lives.